(Newser) – Since 1982, a US government research program has resulted in thousands of cats dying. No more: The Department of Agriculture announced Tuesday that its Agricultural Research Services lab will no longer use cats in its experiments. For decades, as part of its research into toxoplasmosis, ARS had been infecting kittens with the Toxoplasma gondii parasite, then euthanizing them when research was complete, NBC News reports. In addition, a recent exposé found that hundreds of dogs and cats from Asian meat markets had been purchased, euthanized, and fed to healthy animals at the ARS lab in Maryland. 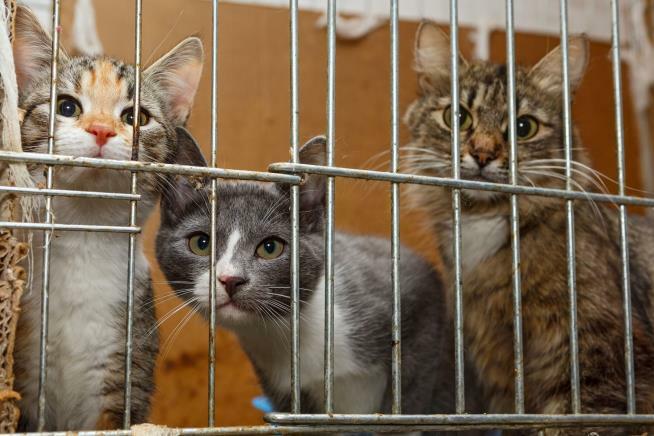 In its Tuesday statement, the USDA said that ARS' "toxoplasmosis research has been redirected and the use of cats as part of any research protocol in any ARS laboratory has been discontinued and will not be reinstated." Since the animals were "purchased from Asian meat markets"; they probably lived longer and were euthanized more humanely than they might have if they ended up as stir fry.